Admirers of American neoclassical decorative arts have been treated to a wealth of exhibitions in recent years, and now even more is available to discover and acquire. 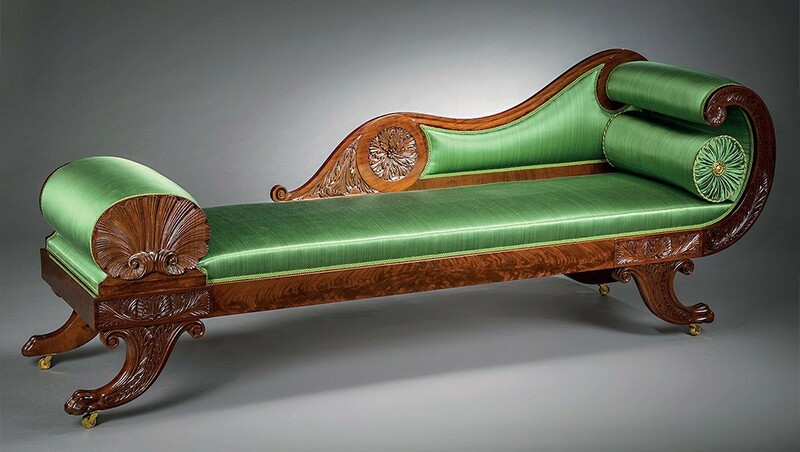 A mahogany récamier, c.1825, with gilt-brass castors and bolster buttons and upholstery, attributed to Joseph Barry of Philadelphia, measuring 7ft 6in (2.29m) long. It features in Hirschl & Adler’s upcoming exhibition in New York. Photo: Eric W Baumgartner. Next month, New York City gallery Hirschl & Adler reveals a number of top new discoveries in a show aimed at broadening the understanding of the field and to boost collecting. 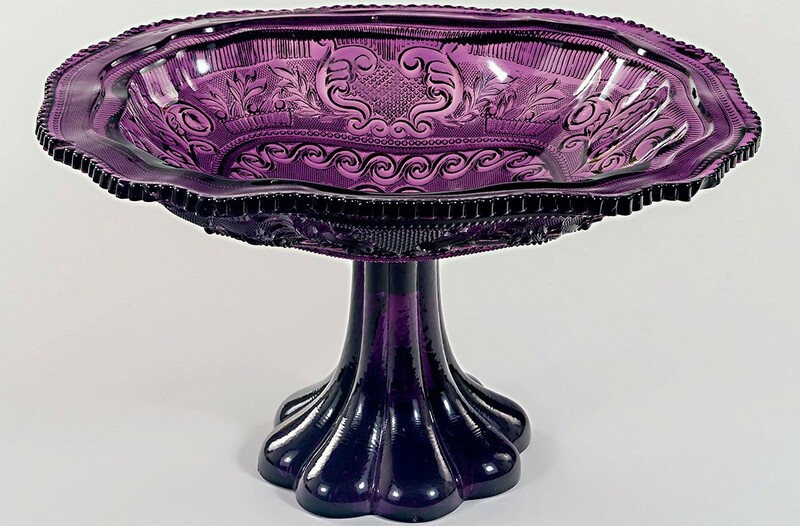 More than 70 pieces of decorative art including furniture, glass, silver and needlework have been assembled for Augmenting the Canon: Recent Acquisitions of American Neo-Classical Decorative Arts, which runs from December 13-February 6. Among the key discoveries are a récamier attributed to Joseph Barry (1757-1838) of Philadelphia, which has only recently emerged from the family it was made for 200 years ago, as well as a mahogany pier table also attributed to Barry. Locating and identifying such discoveries takes extensive experience and expertise. With seven previous exhibitions in the field since 1991, and specialists such as manging director Elizabeth Feld, Hirschl & Adler has both. Neoclassical decorative art is defined by an interest in the design of ancient Greece and Rome. For practitioners of the first years of the 1800s up to the early 1840s – the period covered in this show – the fascination sprang in part from the systematic excavations at Pompeii that began in the previous century. Resulting works tend be neat and geometric, featuring antiquity-inspired carvings and decorative inlays. During the past 20 years, neoclassical cabinet makers have been the subject of rising interest. 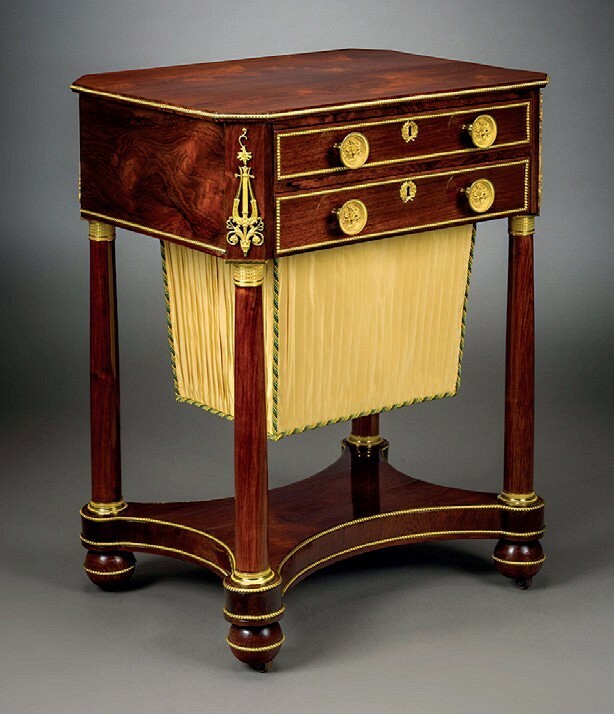 Feld names exhibitions such as Honoré Lannuier, Cabinetmaker from Paris (1998) and Duncan Phyfe: Master Cabinetmaker in New York (2011) at the Metropolitan Museum of Art, and Rather Elegant than Showy: The Classical Furniture of Isaac Vose (2018) at the Massachusetts Historical Society, as instrumental in the process. Meanwhile, the use of neoclassical furniture in the home has changed somewhat. In the 1980s and ‘90s, Feld says, it was common for collectors and decorators to use such pieces to create period rooms. Today, a stand-out item is more likely to be the highlight of a room against a relatively neutral background. Another change is the result of increasing interest. A Thomas Seymour work table on offer in the show, for example, is identical to one in the Museum of Fine Arts, Boston. A Duncan Phyfe box sofa, also available at the gallery, may have been the original mate to one it sold to the Art Institute of Chicago in 2002. Ranging in price from $10,000- 400,000, pieces come from workshops in places such as Boston, New York and Philadelphia, demonstrating the breadth of workmanship in the early 19th century. Along with decorative art a range of paintings and works on paper is on display, including those by John Wesley Jarvis, Gilbert Stuart and Francis Guy. The show takes place at the gallery’s new location, The Fuller Building, on East 57th Street.